It's time to go through the looking glass! 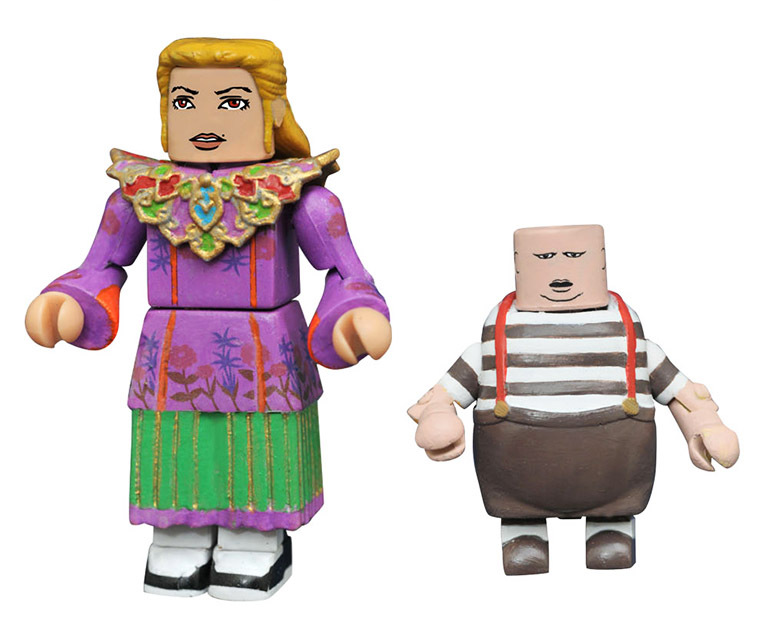 DST takes on the sequel to Tim Burton's Alice in Wonderland with a new assortment of Minimates mini-figures based entirely on Alice Through the Looking Glass! Four two-packs feature the Mad Hatter with the Red Queen, Time with the White Queen, Alice with Tweedledee and a rare one-per-case set of Ribbon Fantasy Alice with Tweedledum! Each 2-inch Minimates mini-figure features up to 14 points of articulation and fully interchangeable parts. "I hope that license like this open up the possibilities for more Disney licenses. But as far as this series goes, I this DST did a great job with the likenesses, and the colors really pop."